Are you having problems with the boss? Wishing you could be a better spouse? Not communicating well with your employees? Having trouble building business relationships? Or would you just like to improve your people skills and your ability to make strong, lasting impressions on the men and women you meet every day? The solution is “Skill With People!” Les Giblin’s timeless classic has what you need to get on the fast track to success at home, at work, and in business. Life lessons from the Master of basic people skills. Described as “the most wisdom in the least words”, Skill With People has sold over 2 Million copies and has been translated into 20 languages. 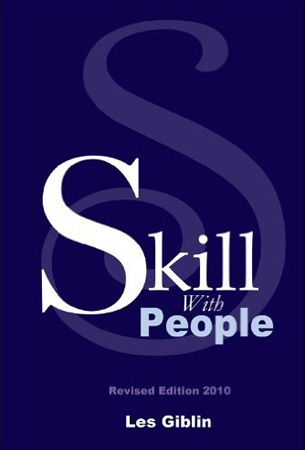 Credited with transforming the lives of its many readers, Skill with People is a must-have for everyone’s personal library.Communicate with impact. Influence with certainty. Listen with sensitivity. “Skill With People” shows you how!